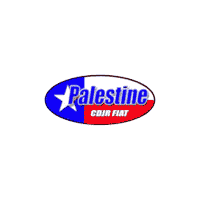 They say big things come in small packages, well the FIAT 500 is a small car with BIG Value in Palestine, TX. Even in our area of Texas, we can show you some of the amazing ways the 500 is the perfect compact for you! If you are looking for a car to help save at the pump the 500 is the car to buy. With up to 31 city/38 highway mpg the FIAT 500 has superior combined fuel economy than the Chevrolet Spark, Kia Rio, and Hyundai Accent, and it looks sharp saving you tons. You may think that in order to get this great of fuel efficiency you have to sacrifice on power and speed? Think again, at the heart of this FIAT 500 beats 1.4L MultiAir Turbo engine charging it to an impressive 160 horsepower and 170 pound-feet of torque aided by twin intercoolers. Why twin intercoolers? Because your turbocharged 500 needs plenty of cool air to keep the engine at top performance. What to have even more fun in your FIAT? You can also choose from a manual transmission for our racing enthusiasts or if carefree cruising is more your taste then the Automatic with sport setting is where you want to be. Now we can’t have you running off in like the roadrunner without having some safety systems in place first. We say some but really the FIAT 500 comes with 50 standard and available security and safety systems. Security is something you don’t hear many manufacturers write about, the FIAT 500 has a 48-Month/50,000-Mile basic limited warranty. This is a longer basic limited warranty than Volkswagen, Ford, Honda, Nissan, and Chevrolet. For more physical protection we have 7 airbags that surround the driver and passengers, including a driver’s knee airbag, full-length side-curtain airbags, and they activate in the event of a rear collision. To enclose it all, FIAT used a steel safety frame to reinforce the cabin of the 500. This extra strength will help keep loved ones in the car safer from injury. The FIAT 500 is meant to be filled with people who have personality and want the world to know it. It all starts with the color, there are 15 to choose from. If you like to stand out of the crowd then you may like Spitfire-Orange or Latte Menta (a light mint). Want something a little less bright then the classic Verde Chiaro (Light Green), Bianco Perla (Pearl White Tri-Coat), or Celeste Blu (Retro Light Blue) is right up your alley. Your color is also continued throughout your interior, paired nicely with a combination of leather trim or premium cloth seats. When you sit behind the wheel you may notice there is a blend of the traditional stylings of Italy and polished technology. The FIAT 500 has a softness with the curved lines and rounded edges while adding in the multimedia system powered by Uconnect. The Uconnect system has options like Navigation, Handsfree calling, and app connections so you don’t miss a thing. Lastly, you can’t forget about the optimal retractable soft top, retract the roof and be ready to turn heads. The FIAT 500 is the most affordable convertible in the US today! There so much more we could tell you about the FIAT 500. Here at Elliott Chrysler Dodge Jeep Ram Fiat Palestine, our staff knows everything about the FIAT and what offers are available. Call or come in to learn more about special offers and what we can do to help get you into a new 500! We are a people first store so be prepared to be treated like one of the family. We can’t wait to see you.